The Fast Consortium, led by Spanish builder FCC, said it has been tasked with building a 1.5-km-long extension and adding two more new stations to Line 4 of the Riyadh Metro Project. The consortium includes global majors Samsung (South Korea), Strukton (Netherlands), Alstom (France) and Freysinnet (Saudi Arabia). The scope of work includes the construction of a 1.5-km-long viaduct and two elevated stations with direct access, via elevated footbridges, to terminals 1/2 and 3/4 of the international airport of the capital of Saudi Arabia, said a statement from FCC. 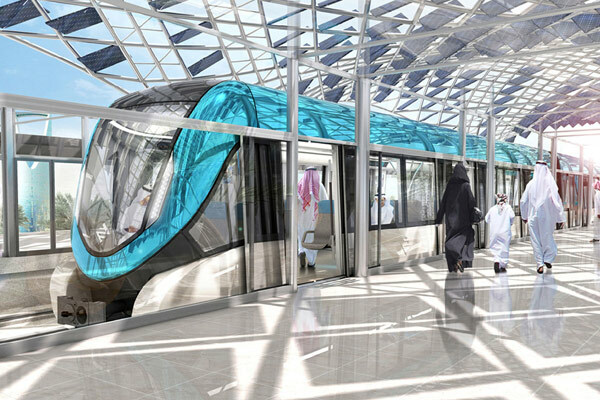 In this way, Line 4 of the Riyadh Metro will connect directly the King Abdullah Financial District (KAFD) with the King Khalid International Airport ( KKIA), which makes it a key corridor for the development of Riyadh urban transport, it stated. The execution of the associated stations and infrastructures by the Fast Consortium will enable passengers to benefit from a direct transport link to the airport, it added. "The Fast Consortium is building Lines 5 and 6 of the Riyadh Metro, in addition to the Line 4, which is a milestone for Spanish engineering as it is the most important infrastructure contract in history for a company in our country," said a company spokesman.